▼ Click the word "playlist" to access a full list of videos from this event. The Atlantic and CityLab completed our annual trip to Miami, where we highlighted South Florida’s high-growth (and high-profit) innovation while exploring the emerging models of entrepreneurship taking root in cities around the U.S. Across a day-long program, we asked: how can cities maximize their homegrown strengths and small business values, while attracting the outside resources to compete with their bigger peers? 11:35 a.m. As Cuba Thaws, Will Entrepreneurship Heat Up? Natalia Napoleon de Bens, Co-Founder, Lemon City Tea Co. The Atlantic and CityLab hosted the second-annual gathering of entrepreneurs and tech experts to explore models of “urban tech” taking root in Miami and across the world. 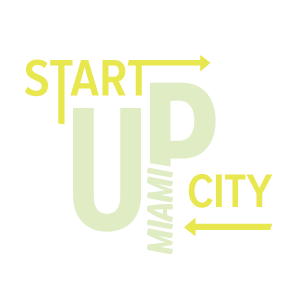 On February 13, The Atlantic and The Atlantic Cities launched Start-Up City: Miami, gathering leading entrepreneurs and tech experts from London, New York, California, Kansas City, and more in Miami for a day of discussions about different aspects of the city’s innovation ecosystem. Is the road to success more difficult for female entrepreneurs?